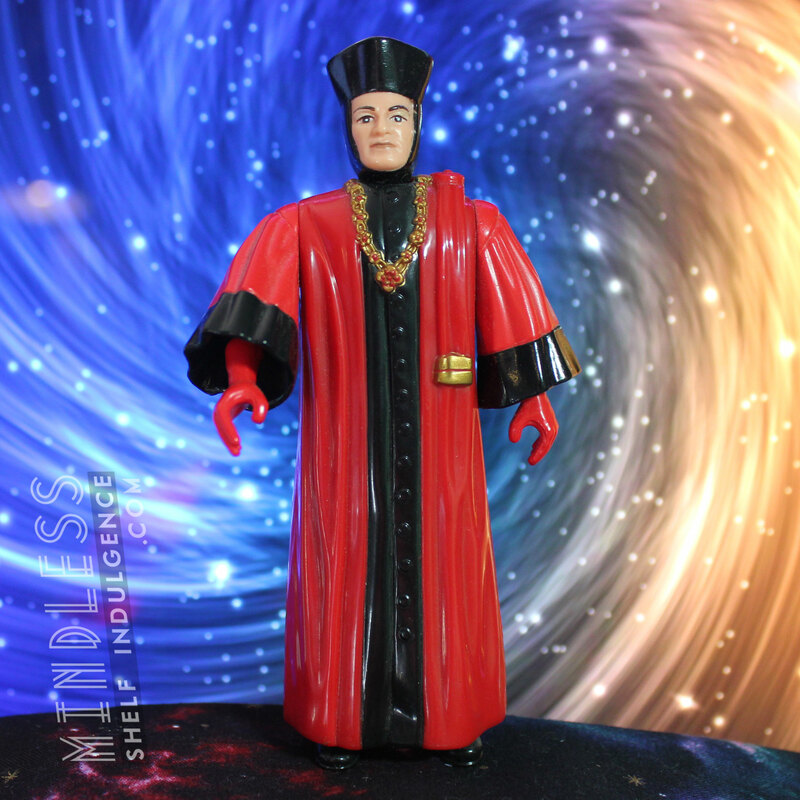 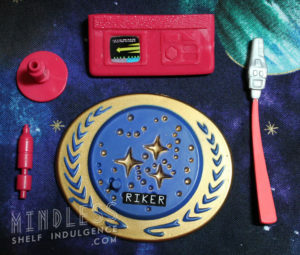 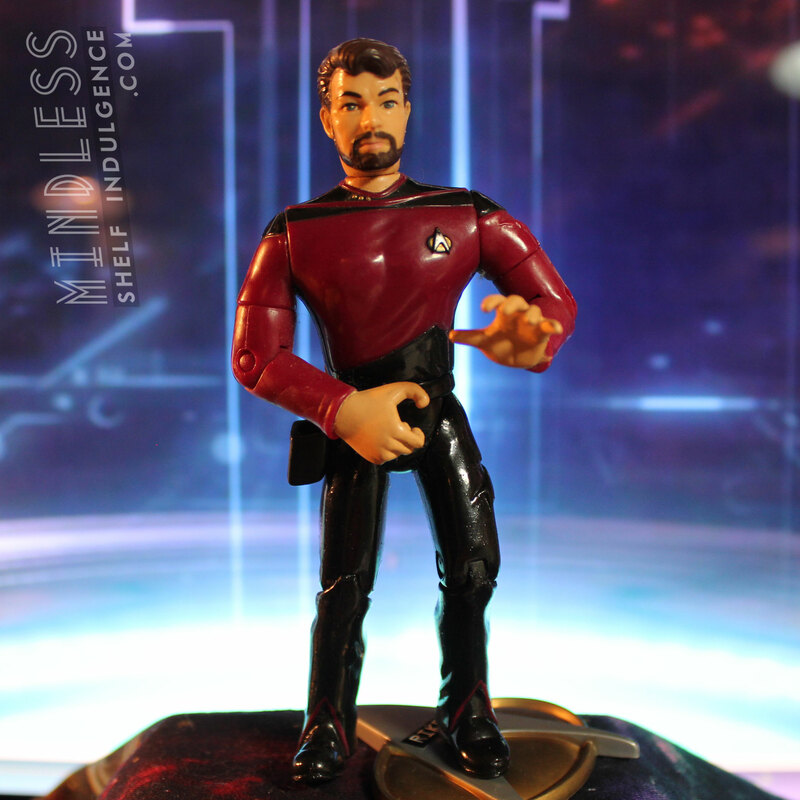 Malcorian Riker includes dark pink/red accessories and a United Federation of Planets base. 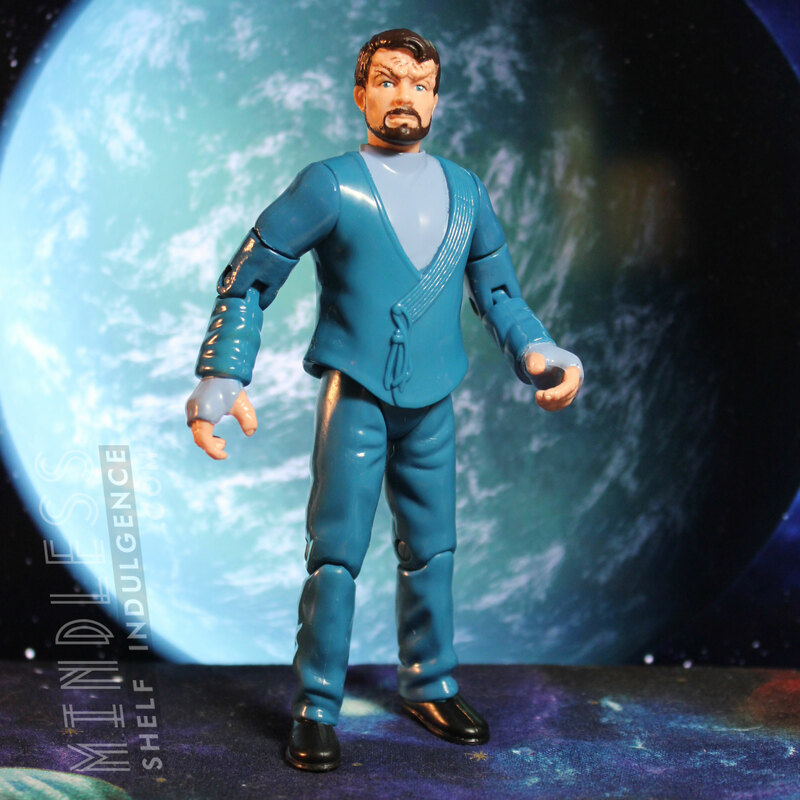 In the 4th season episode ‘First Contact’, Riker is visiting the planet Malcor III in disguise, under the name Rivas Jakara, on a mission to gather information about the Malcorians. 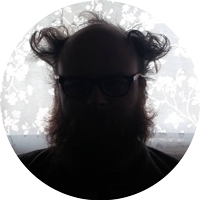 In every sense, humans are the invading aliens on Malcor. Notably, it’s also an episode where Riker gets busy with an alien lady.